Dr. Brian Haas has been practicing medicine for over 30 years. He has extensive experience and skill that is dedicated to each and every patient. Eyelid surgery should be taken very seriously. Our face is, in most cases, the first thing someone sees when meeting and our eyes all tell a story. Why not tell a slightly younger version of that story? Dr. Haas can provide dramatic results with a minimal recovery period and extraordinary results! Blepharoplasty is a type of surgery that repairs droopy eyelids and may involve removing excess skin, muscle and fat. As you age, your eyelids stretch, and the muscles supporting them weaken. As a result, excess fat may gather above and below your eyelids. This can cause sagging eyebrows, droopy upper lids and bags under your eyes. Besides making you look older, severely sagging skin around your eyes can reduce your side vision (peripheral vision), especially the upper and outer parts of your field of vision. Blepharoplasty can reduce or eliminate these vision problems and make your eyes appear younger and more alert. Whether you want to improve your appearance or are experiencing functional problems with your eyelids, eyelid surgery can rejuvenate the area surrounding your eyes. Fatty deposits that appear as puffiness in the eyelids. To help decide if blepharoplasty is right for you, visit American Association of Plastic Surgeons . For more information on what Dr. Haas can do for you, your friends, or your family Schedule a Consultation. 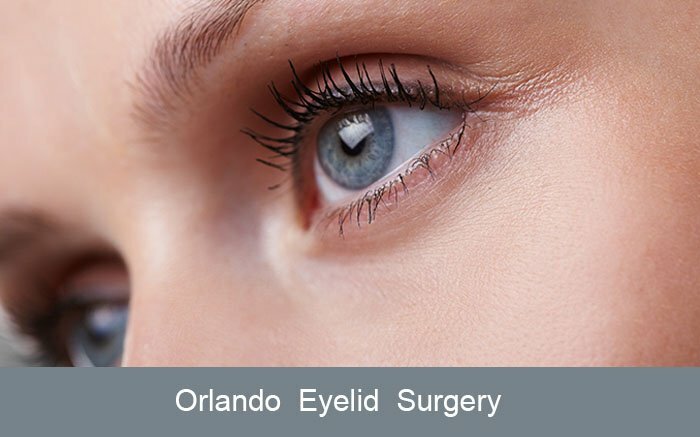 Boutique Eye Orlando is dedicated to serving Orlando. We want you to See Better. Look Better. Live Better.